Madeleina Hypnosis. 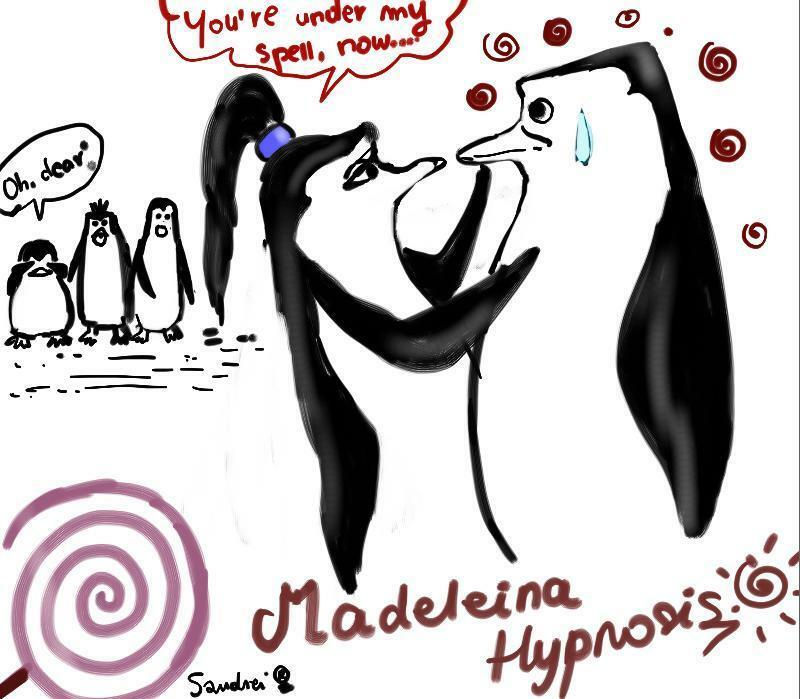 Beware of Madeleina Hypnosis!!!!. HD Wallpaper and background images in the দ্যা পেঙ্গুইন অব মাদাগাস্কার club. This দ্যা পেঙ্গুইন অব মাদাগাস্কার fan art might contain নকল মানুষের, কমিক বই, কমিকস, and কার্টুন. Is This That Magical ফোয়ারা অথবা Doris's Habitat? Help! I'm a পেংগুইন falling! Icicle: I DID IT! HORRAY! WORSHIP ME MY PEASENTS! *bows down to Icicle* Hey wait I'm the Emporer of my Art Class, I'll let it slide this time... NICE PIC!!! ^ KOWASLKIE IN YOUR ICON LOOKS SAD. What are আপনি eating, Kowalski?